Streaming rental grants you unlimited viewing for 4 months, beginning when you check out. 10% off one DVD set or 25% off two or more! What are the sacraments? Why do we do what we do in the confessional or at Mass? What's the point of baptizing a baby? While Catholics know the sacraments are important, many never fully grasp how life-changing these "masterworks of God" really are. Now they can. The Bible and the Sacraments unveil the mystery of the sacraments and their foundation in Sacred Scripture. 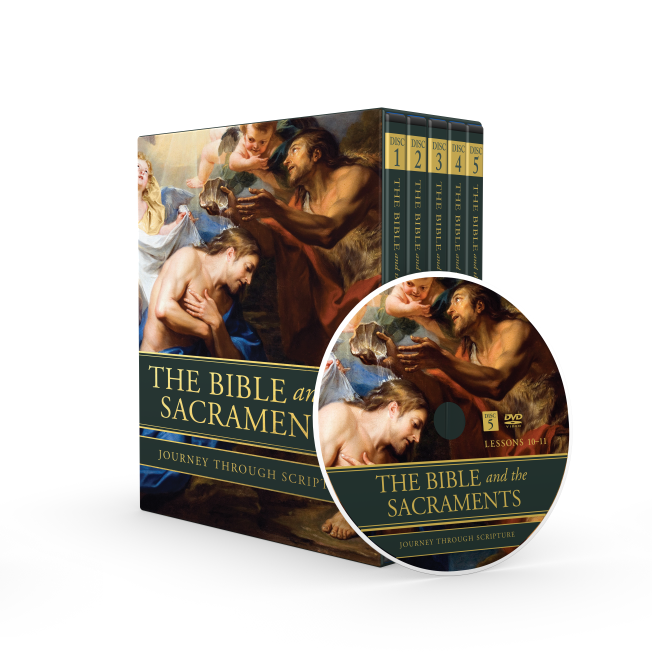 Join author, speaker, and Executive Producer, Matthew Leonard, in this stunning, awe-inspiring series, in which the power of the sacraments come alive in a personal, new way. All in all, you will experience the sacraments as you’ve never experienced them before! The Bible and the Sacraments is part of the St. Paul Center for Biblical Theology’s dynamic Journey Through Scripture Bible study series. It is based upon Dr. Scott Hahn’s bestselling book, Swear to God. This classes made me appreciate the Catholic Faith deeply. It made me love God deeper because I know He is such a great Dad! I hope the others will discover too. This was the first Bible study I taught at our parish. It was very well received and the participants voiced how much they did not know the connection between the Old and New Testament. Once they understood the prefigurement of Christ in the old and now seeing him as the Messiah in the new .. The scriptures came alive for them. The Sacraments brought a whole new meaning to their faith Thank you so much for this series. Matthew Leonard was very engaging and brought his knowledge down to a level that was easily understood, making it easy as a teacher and group to discuss. Thank you and God Bless You! As a cradle catholic that returned to the church a few years ago, I found The Bible and the Sacraments awoke something that had been dormant due to my own neglect, not only the beauty of our faith but the reason why we have the reverence and love for the scriptures. Thank you Dr. Hahn and St. Paul Center for providing this easy and insightful way of refreshing my religion classes in St John the Apostle in Hialeah Fl. I shared this with a JW friend of mine and we really enjoyed it, it gives a good basis for explaining a very important aspect of Christianity. What a great way to get to know and understand the meaning of the sacraments. I ordered the books and the material was wonderful. Being able to interpret the Sacrements through someone who explained it so clearly and passionate was the best way to learn about them. I highly recommend this study to all. I think Angele Bennet said it perfectly. As a cradle Catholic (75 years old) I was amazed by the connections to the Bible. I really learned a lot. No one has ever pointed out those things; not even from the pulpit. I am very familiar with O.T. I wanted to see the connection to sacraments. Order the workbook; it is necessary to get the full impact of the lessons. Beautiful. I bought the whole set for religious education classes. Even if you learned one thing that you didn’t know, it is worth it. Very informative. It was an incredible experience to hear and learn more about the Boblical roots of the Sacraments. Very deep and enriching ! God bless you all and thank you for offering us this powerful program. The sacrament series was the best review I have ever watched. Matthew was so easy to comprehend and the visuals were inspirational. Was raised Catholic and didn’t know all that I learned. Well presented. Eye opening! Loved it! I am a cradle Catholic, actively engaged in the faith. I have studied both the Sacrament & BVM series, and as a Lenten commitment, elected to participate in the Sacrament series again. The Sacrament series is a beautiful, joy filled experience that is presented in such a way that one cannot help but be enriched in the knowledge that our God has thoughtfully and lovingly prepared via the Sacraments, everything we need in this earthly life to prepare oneself for the kingdom of God. The Holy Spirit has used the St. Paul Center to beautifully remind us of God’s most perfect plan for us! Thank you! Thank you! Thank you! Great study. I learned so much! I have had theology classes while attending Catholic college, but this study was so in depth and introduced me to much information that I never learned before. IT gave me much deeper appreciation for blessings for being Catholic and receiving gift of grace obtained while receiving sacraments. Thank you for offering this course.! The “Sacraments” series has deeply enriched my understanding and participation in all the sacraments, particularly Holy Communion. The history presented in the series is fascinating and shows the inextricable bond between The Old Testament, New Testament, and our sacraments. It’s wonderful. The material was presented in an excellent manner. I really appreciated the short stories of Saints and people converted to Catholicism as a lead in to the Sacrament about to be discussed. After taking this study I feel I have a much better understanding of how the Old Testament points to the New Testament as well as a better understanding of the Biblical foundations of the Sacraments. I am a NEOPHYTE, ie just being baptised on Easter Vigil 2018. New to the Catholic faith (started the course in 2017 Sept) I found your video clips on the Sacrament very professionally produced. The quality of the sound system & the subtitles was excellent. Unfotunately,I only managed to watch 3 series.. They were truly an eye opener & I learnt more on the Sacraments. I just cant wait to share some of the interesting information which I learnt, to my Catholic friends. ThankQ for allowing me to watch free, tho within such a short period of time. Best Bible study I have seen. It’s explained in the most simple way for everyone to understand. There are a lot of quotations of Bible verses and Catecism, it’s filmed in HD inside of beautiful church. Also, animations are stunning. We tend to use sacraments for granted. But, after this study, I know how important sacraments realy are. Thats the most important thing and I will share that truth with people I know. Excellent! I homeschool three of my boys (8, 11, 13) and every single video kept them captivated. They often wanted to pause to discuss all they were leaning, and I learned a lot too. Additionally, we were all spellbound by the beautiful art displayed throughout. I highly recommend! The presentation of the Sacraments in connection with the Old Testament really deepened our understanding and appreciation of them. We are cradle Catholics, but learned so much in watching the series that we ordered the DVD set so that we can watch them again. Matthew Leonard does a fantastic job and we thank God for Scott Hahn. Thanks and blessings to all who were involved in producing this series and also the series on the Blessed Mother. One of the most profound experiences in a Lenten journey. I am grateful to God and those who created this study. Truly an enlightening experience that has me continuing to dig deeper into the Word as well as confirmed my love for our sacraments. I invested prayerful time in enjoying the Bible and the Sacraments study for Lent. It was interesting and beautifully produced. Thank you. 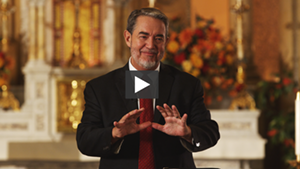 This Scripture Study is beautifully produced and I think every Catholic should watch it. I learned a lot! Most of all it open my eyes and heart to the meaning and grace of the Sacraments and also how Old and New Testament are bound together. Since lessons were available for few weeks I watched them repeatedly to fully grasp the meaning. I really think that all young people preparing for Confirmation should be able to watch at least first lessons about Sacrament of Baptism and Confirmation. Thank you for this wonderful study and for making it available for everyone for free at least 2 times. I watched all 3 studies and they all are such intellectual and spiritual treasure. May God help spread this wonderful teaching. 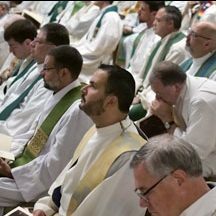 The in-depth and biblical links of the Sacraments and liturgy of Mass by Dr. Tim Gray and Dr. Scott Hahn stirred one’s heart and soul by the greatness of God’s love and teachings of Jesus. One’s apathy of faith was further distracted by modern media and fictions and neglect of religious readings. The lack of dialogue with a non-Catholic spouse had its imperceptive toll on one’s devotion and social contact with Church activities, even though my husband accompanied me to Mass every Sunday and agreed to our Catholic Marriage in Church. The videos and available library of Biblical studies, Catechism, lives and writings of many saints are wonderful replacement for the many TV programs and endless advertisements for every Catholic and in particular for lonely retirees with health problems and consideration of the last phase of life. I watched it twice! I am continually seeking knowledge and direction to not only grow and stretch spiritually but to also defend my faith. This presentation did both and in a bold, energizing and spirit-filled way. I now feel equipped and encouraged to share my new found knowledge of the biblical foundation of the Sacraments. 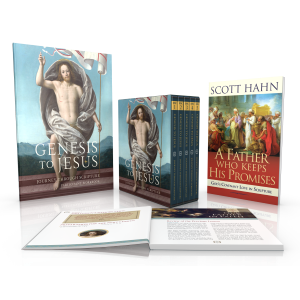 I live in Australia, and it was wonderful to have online access to this beautiful bible study – The Bible and The Sacraments. My husband and I watched it throughout Lent, and it taught us a lot. My husband is a new convert to Catholicism, and this study really enhanced what he had learnt through RCIA. In particular, it raised some important discussion points for us, and we actually started researching more into certain areas. One area we researched was Eucharistic miracles, and my husband was very much taken aback, because it was the first time he had thought really in depth about the Real Presence. I also learnt some amazing things about Eucharistic miracles, and this was all prompted by watching the series. We also very much enjoyed the Profiles in Grace that were at the beginning of each episode, which were so powerful. Thank you for this opportunity to view this wonderful series. Great information to reiterate the importance of the Sacraments and to root them in the Bible. Wonderful course for teaching the Sacraments to RCIA groups. Spoken in plain English and leaving no doubt or question about the content. Well done. Excellent study. I learned how our sacraments are based on scripture and tradition. The presentation, the artwork, the quality of the study made the lessons easy to follow and understand. I especially liked the biographies that began each study. Many thanks for making the series! Phenomenal! This series was clear and to the point. All Catholics need to know how essential the Sacraments are to our spiritual life. We need to internalize and evangelize all that Matthew L. explains. I have a burning desire to purchase the set and begin a small group session to share these DVD’s with my Catholic brothers and sisters. A beautiful, in-depth study presented in a well organized, easy to follow manner. 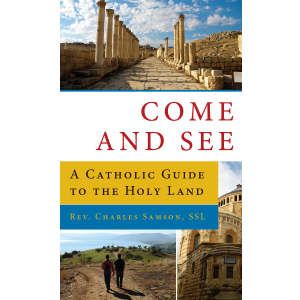 This study brought the sacraments alive, and provided both scriptural and traditional evidence of their origin and place in salvation history. Mr. Leonard is an excellent and engaging presenter. Highly recommended! This was the 2nd time I had watched this series and seem to get more understanding from it each time. Rally enjoyed each session. Another wonderful, professional presentation by the St. Paul center. I thoroughly enjoyed every moment and I take notes as I go along to remember Scriptures and key points. You continue to share the Catholic faith with such energy and accuracy and i’m thoroughly impressed. I can’t wait for your next study! Excellent study, didn’t want it to finish. Clarity in the sound, beautiful filming, lovely paintings…but, above all, a love for Jesus Christ our Saviour. May God bless you in your mission and waiting eagerly for future studies. This study is a gem! 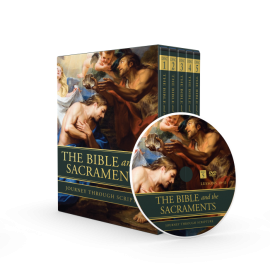 Not only does it provide a clear explanation of the Sacraments, it also brings about a better appreciation of Sacred Scriptures. Thank you! Being a cradle catholic, my eyes were truly opened! What a great lent I experienced because of this study! I bought the DVDs and plan on sharing it with my adult children! I have a daughter-in-law coming into the church, it’ll be perfect! Thank you so much! I am a “Cradle Catholic” that had a poor understanding of the faith passed on to me. Both series you offered opened my heart and filled it with so much love and gratitude for this gift my mother gave me! 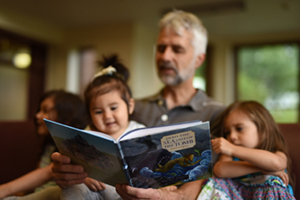 Matthew Leonard was the perfect narrator…I loved both Journey Through Scripture bible studies that I immediately purchased each one with the intent to share with my family. And, of course, to view over and over again myself. I believe more deeply that the Catholic Church is the church Jesus Christ founded, and my confidence in this has sored through the roof! God bless you all at the St. Paul Center, I am eternally grateful. P.S. I hope you have other bible study series planned! I loved this course. I grew up as a Catholic and thought I had a pretty good understanding of the sacraments. This course explained so clearly the link between events in the Old Testament and the sacraments Jesus gave to his Church in the New Testament. There were so many points discussed about each of the sacraments that I had not thought of in years or did not know, and these really deepened my understanding of these amazing gifts. Matthew Leonard is a wonderful speaker and he did an excellent job of making the course interesting, with comments that made you look forward to the following week. I think this would be a perfect course to have available for a parish community. Thanks so much for this enriching experience. This was very timely for me as l got baptized this Easter!! Great help indeed in building up my faith. You have a way of explaining truth in a simple but deep way. Keep it up! I was delighted with the contents. Even I had taught the topic of sacraments, I found lots of new and valuable things to learn and teach. Thanks a lot for this! You are in my prayers! P.S. Will love to help in the translation to Spanish, of such a good material! You’ll be happy to hear that Spanish closed captioning is already available on the videos and we have Spanish workbooks and leader guides. I thought that it was great. Made me think a lot deeper about some of the meanings of our sacraments and how they were foretold in the Old Testament and then fulfilled by Jesus. I would recommend this to a life long Catholic or someone just learning about the faith. This was well structured and visually involving – a great series with excellent information. I thoroughly enjoyed it. The setting of the sacraments in the context of covenant history and the continuity and fulfilment of the old testament and the New Testaments and the Church gave the series a holistic biblical touch. the audio-visual presentations and apt commentaries were very appealing and captivating for me. It helps me to live the Sacraments more consciously and with more solid foundation in the biblical (judeo-christian) traditions. I think it is a treasure for those who seek better understanding and taste for the ‘mysteries’. I appreciate the creators, artists and scholars behind the series. Cudos! I have watched it twice, one alone then with my husband. It is so informative & we both found it so easy to follow, not too deep. We were cradle Catholics & needed to be reminded about the basics of the sacraments. You can never stop learning. in this series. It is nicely and simply done .I really enjoy this. Thank you. God bless. I watched this when it was offered for free. I can’t afford to buy it, and prefer to teach in person rather than through videos (and I prefer reading to listening/watching), so I typed out the script of each segment, which gave me a record of the information and helped me internalize the information and use it in preparing adults for Confirmation. 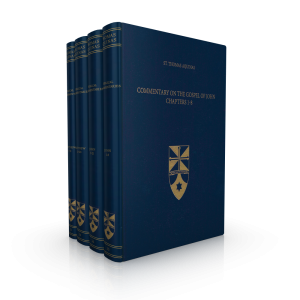 I’m sure I’ll also use it – along with a wide variety of other materials from Scott Hahn and other sources – for catechesis of converts to the Catholic Church. It’s very well done, but as I say, I absorb and retain information better from reading than watching films, so for me, the written transcript will allow me to revisit the material and draw on it in future. Excellent series. The presentation was engaging and very well done. Information was very informative. I loved this study! Having done a great number of other studies over time I felt this study brought all the other teaching together in its rightful place- the Sacraments-the life of the Church today. The visuals were beautifully done. Matthew Leonard has a nice style of communication. He was easy to understand and pleasant to listen to. But the best part was the content. It was full of history and it’s meaning for today. 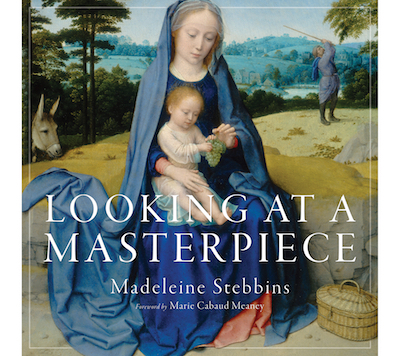 It showed the depth and beauty of Catholic teaching. Every Catholic would benefit from this study! Loves this, our parish purchased the Bible and the Sacraments. We’ve offered it once. Problem we have is getting our members interested in learning about the why of our faith. We plan to purchase the Bible and the Virgin Mary for this summer. Wish us luck. I loved this series! I used this program as part of my lenten studies. I learned so much from this series! Thank you! I can’t wait to see what you have planned for future programs!! I loved this series because, as a convert, I believed in the sacraments but didn’t have the background. I shared this series during CCD with my students who are studying the sacraments this year. It helped them to understand the connections of the Old and New Testament. Thank you! This is a great Bible Study. I hope next year to do it with a group at our parish. This summer I think we will do Genesis to Jesus as an introduction. The production is very high quality and this study itself is well researched and approachable leading too a deeper understanding and appreciation of God’s Sacraments and the valuable role they have in our daily life. The series was/is eye-opening and I highly recommend it! Thank you to all those who were involved in it’s production and distribution; may God continue to bless you and the work you do on His behalf here on earth. This was a first for me and it was a good feeling of being overwhelmed! Great bible study relating to the sacraments! Great bible study relating to the sacraments! An eye opener to a cradle catholic! Great bible study. I prepare kids for their first communion this is great material for catechism teachers. One thing I would suggest is that it came in a CD form to listen to it in the car while driving to and from work. Other than that I love it!